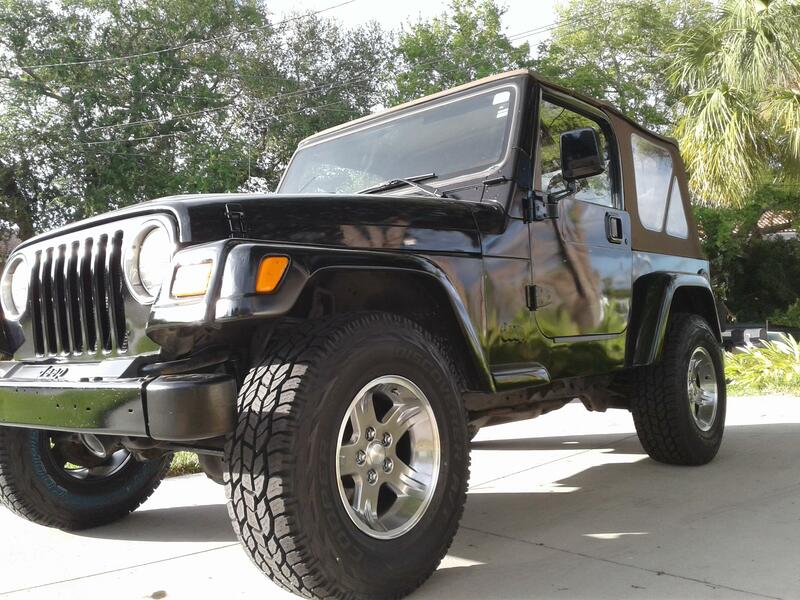 Looking for Jeep Wheels at an unbelievable price? We're the experts in Chrysler Jeep Cherokee rims and Jeep Wrangler rims, so we carry an extensive line of replica wheels and OEM wheels for Jeep. With a 5 lug bolt pattern, these 15x8 hyper black rims with machined lips are the perfect upgrade for your Jeep Wrangler YJ, Jeep Wrangler TJ, and Jeep Cherokee XJ. These wheels turned my ole 1997 Jeep Wrangler from Basic to Awesome! And with the OEM "Jeep" cap upgrade, they are legit. OE Wheel Distributors is the best.